Meanwhile, what about the voices of those negatively impacted or censored or banned by Digg? They are swept under the carpet unless they exist in such quantity that they can shut down the site altogether. 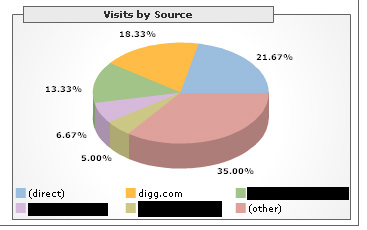 And what about the many ways you can use Digg to your advantage? Beyond the obvious ways to manipulate Digg, there are still rumors of “bury brigades” as well as sites where you can buy, trade or sell Diggs. People are outraged about how the news has cut out political candidates they deem ‘irrelevant’ while alternative news sources are so full of scandal stories they miss out on the real issues. So, which is worse: covering candidates who (by all estimates) have no chance, or covering only those people? Or how about: a corporate news source we know we can’t trust but that we at least understand or a news source that works in incredibly mysterious ways and seems to censor its critics? Is Digg.com Facing Lawsuits? End of Site in Sight? Digg.com is likely facing a series of lawsuits that may well end this popular user-driven news site forever. The website has gone through an incredible and unprecedented series of transformations in the last 24 hours. As of right now, even major websites like Slashdot and Wired are (at best) not yet telling the full story or even (at worst) giving inaccurate or incomplete information. For example, no one is reporting the fact that the illegal code in question has been up on Digg.com for months! Digg first adhered to its Terms of Service, then violated them as well as the law in a 180-degree turn-around. … did you know that� all of Kevin Rose’s submissions to Digg.com end up making it to the front page? Over the past year, he has submitted an average of just under one article every two days, and every single one of these has been Dugg to the top. Gee, the founder of Digg.com coincidentally is 100% successful when making submissions to his ‘corruption-free’ site. What a surprise! Most Diggers probably have at best a 10% success rate. I won’t even bother spelling this out further. So much for new, democratic and dynamic communities of the Web 2.0 revolution! One of the upshots of having my article on Digg.com scams and corruption posted on Associated Content is: people can go and Digg the article! Eight Diggs so far – not bad for a post that bashes Digg. I’m still a bit busy with other things but I thought I’d let you all know my story on Digg scandals and corruption was published (after I cleaned it up� a bit) on Associated Content! Of course the best part about it (irony of ironies!) is that you can go read the article and Digg it even though my URL is still banned from their system – too funny!!! Meanwhile, it took them long enough but Digg finally figured out how to stop the tactic of adding a ‘period’ after the URL to slip a banned URL or duplicate story into the system. ALSO check out this hilarious Digg-bashing Digg-clone – AWESOME! Update: I have to run for a bit, but thought I’d add this real quick: a screenshot from Google Analytics from today so far – soon I expect Digg.com will be my highest source of traffic for the day, even though my URL is supposedly not reachable from their site. Too funny! And to top their corruption off, they’ve effectively buried my Digg post so you can’t even find it if you search for the exact headline. 1) Super-History Tracking. Their claim: because they can track individual computer histories they can see if you visited a site with a pay-per-Digg program. So what? You could look up those programs on a school or library computer! And if they start blocking accounts from publicly shared computers? (a) They might hit the wrong person – an innocent follow-up user� and (b) their own users will revolt and ditch them. 2) Timing is Everything. Their claim: if something is voted up slower rather than right away, it is suspicious. Fine. I’ll go to any of a dozen university buildings I can access, or local libraries, and hop between dozens of available computers in under an hour, building up Diggs with pre-made accounts. Before you know it, I’ll be on page one from piggy-back Diggers. 3) Spam Reporting Lowers Reputations. Their claim: your user account will be flagged if you exhibit unusual Digg behavior. I could almost laugh out loud at this one. So what? Just make up a new account. Takes 30 seconds and a junk e-mail address. 4) Where You Vote Matters. Their claim: because pay-per-Digg users jump directly to sites they will get flagged. That’s an easy technicality to overcome, or at least it will be once Digg.com searches actually work. Pay-per-Digg services will simply� advise ’employees’ to go to Digg and search for certain keywords, find the story, and Digg it. Duh. 5) Big Targets are Easy. Their claim: (a) lawsuits from pissed off Digg� and (b) users getting pissed about abuse will bring these pay-per-Digg sites down. Well, (a) I haven’t heard of any lawsuits yet and (b) who isn’t pissed about abuse? Digg openly accepts and endorses plagiarized content. If anyone is going to get sued, it is Digg.com. Well, I think my fascinating encounters with Digg are at an end. I have to say it was worth the ride, and thanks to those of you who participated in various subversions, submitted comments or threw a laugh or two my way. I’ve enjoyed tracking back some links and seeing what you wrote about all of this on your *own* blog, but don’t forget – you can leave some comments here to if you’d like (I recently added that feature, which some of you have already taken advantage of. Kudos! ).